RIO DE JANEIRO, As the curtains came down at the Rio Olympics, it is time to take stock of what could have, may have been for team Kenya over the last 21 days. The double marathon victory by Jemimah Sumgong and Eliud Kipchoge was laudable, confirming Kenya as the best of distance racers in the world, well the Olympics is the ultimate level of competition. Vivian Cheruiyot’s comeback in the 5000m and the sweet 1500m victory by Faith Kipyegon, the perceived second bests in their races, turned tables and ensured Kenya recaptures the six gold medals from the Beijing Olympics. Who can forget the momentous defence of King David Rudisha’s 800m crown after a strained season? Or Julius Yego’s grit to win amidst pain? There was Conseslus Kipruto's maturity in winning steeplechase gold?What of Benson Mucheru’s momentous silver in the 400m hurdles? Kenya is good no doubt, the best? not just yet. For the second consecutive games, Kenyan runners could not tame British Mo Farah, whose ‘double, double’ lit up the Olympic stadium alongside the triple sprints thriller starring Jamaican Usain Bolt. As was the case in London, the celebrated runners in the men’s events flopped, they were out-of-shape, Paul Tanui yet again saved Kenya the blushes. The blooper in Rio was when the country failed to qualify an athlete for the final of the 5000m men’s race for the first time. One huge blot on the nation’s claim as the best distance runners. How could they all not turn up in the heats after so certain preparations in the run up to the games? Do coaches assess athletes form? “We trained very well and had all the best preparations,"Kenya's track and field head coach insisted. "Farah is still in a class of his own. He is fit. No need to talk to much as we clearly need to go back to the drawing board.In the 5000m Caleb Mwangangi and Charles Yosei tried, but Yosei just miscalculated. He didn’t hear the bell and thought he still had two more laps to go. For Isaiah(Koech)he did not even kick,” he added, lost for words on what could have happened to Asbel Kiprop. The 1500m men miss was not an isolated case, it happened in London. But was it the tactics that failed? Or just overconfidence on the part of the athletes? Did the coaches have ample time, of the planned one month to train and ensure the athletes were at their best shape for the competition ahead? If so, how did they miss the obvious injuries like that of Mike Mokamba whose failure to turn up at the starting blocks, evoked memories of Beijing when two Kenyan sprinters did not run their heats after failed drug tests? Koech and Ndiku apparently had some physical discomforts aggravated during their qualifying races and so did Elijah Manangoi. Was Eldoret camp a mistake? What both the National Olympics committee of Kenya, NOCK and Athletics Kenya, AK, have shunned to discuss is the sense of camping at the remote high altitude camp at the High performance training centre owned by the legendary Kipchoge Keino yet they could not keep tab on the athletes as expected. "Eldoret was a mistake. It is hard logistically! "one NOCK official confessed, before the teams left for Rio. It was a logistical nightmare too for the technical team and even the bosses at NOCK who had to constantly shuffle between Nairobi and Eldoret, to coordinate the teams training, paper work and travel to Rio. Could be the stress weighed down the officals that they failed to notice that sprinter Carvin Nkanata did not yet have a Kenyan passport, a requirement by the International Olympics committee for every team member entered for the games. Nkanata’s lone and last minute fight to compete at the games laid bare NOCK’s logistical nightmare that bungled up the team and officials travel to Rio. As the NOCK boss, Kipchoge's camp was the automatic pick for the track and field athletes when the games steering committee headed by Stephen Arap Soi settled on Eldoret. The camp reportedly was deserted most of the time as the athletes preferred to spend the nights at home and mtet the nine coaches picked by AK at the local stadium on selected days. “Camping in Eldoret was a mistake, big one especially for us as sprinters.It just didn’t work and whatever little we managed to do was from the 10 days we had in Rio,” said an athlete who cannot be named for fear of victimisation. “I think I slept in the camp two or three nights and just because of the official events we had and that’s it. Even the family could not live me in peace as they knew I was just half an hour away from home. Kasarani has always worked for us,” added another leading distance runner, who openly confessed that he had not seen most of teammates since the trials at the Kipchoge Stadium and only met some at the airport. But this also points to the murmured lack of discipline amongst Kenyan athletes’. Why would an athlete prefer to snub a national residential camp? How can an athlete skip training for a week, 10 days undetected by the several officials who traveled in advance with the team? Mokamba’s injury was well documented and reported even before his travel to Rio, but it was surprising that the Kenyan medical team only discovered and ruled him out on the eve of his 200m race. Clearly no lessons learnt from London's string of injured athletes! “He has been avoiding training since he arrived in Rio. An MRI scan showed that he was nursing a serious injury,” Soi said. But an official who has worked with team Kenya in the past was not shocked by some of the developments. A section of the athletes have perpetually put into practice the Olympic spirit, that ‘the most important thing in the games is not winning but taking part’. “Some of the athletes are indifferent towards training and and are known to be out of hand,” he told Sports News Arena in confidence, . Discipline aside there are technical issues which puts focus firmly on AK. The criticised selection process of the distance teams especially the marathon squads and men’s 10k, returned to haunt the national track and field body. Their wild cards failed in the 10 000m while their picks in the men's 42km race besides Kipchoge, flopped. Legislator Wesley Korir, the team captain and the only Kenyan parliamentarian to ever compete at the Olympics could not keep up with the pace, alongside Stanley Biwott. Both were listed as DNFs(did not finish). “There was no both individual push and the 5000m runners clearly lacked team strategy.The selection of the 10k also comes into focus. What was the reasoning of bringing 21k runners to 10k? Paul Tanui was the best in Eldoret,"posed Benjamin Limo the former 5000m world champion, who was gutted by Kenyans failure to reach the finals. "What happened to second and third? Why can’t we just stick to the 1-2-3 across finish the line during major championships like it was during our time?” “Kamworor was not in the best shape, Karoki was not recovered from his injury, this left Tanui all alone and gave Mo Farah easy win." 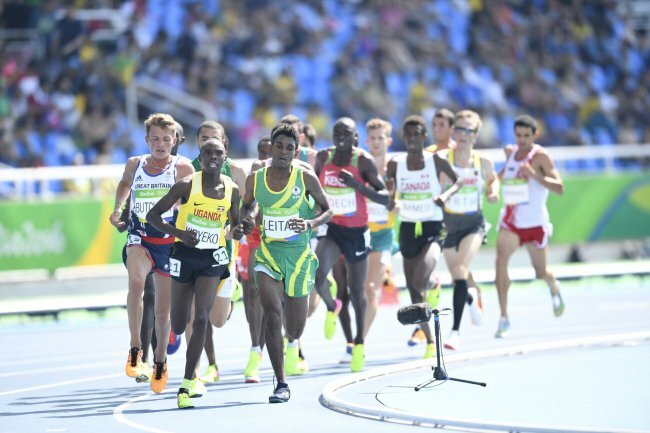 The team planning and tactics that Kenyan runners were known for also lacked.This was clear in the men's 5000 and the 1500m, each of the runners concentrated on their runs, les bothered by their teammates, that ultimately cost the country medals. It was disappointing that most of the Kenyan athletes were singled out for their unwillingness to grant interviews to journalists and the official games new service, that usually provides flash quotes for the top performers from the qualifying rounds to the medalists at the finals from the mixed zones. There were embarrassing for Kenyans journalists in Rio who constantly found themselves begging for quotes, pleading with the athletes after races in the 'set aside interview areas. Some notorious ones ignored the requests event and hurriedly walked past. An athlete can ignore upsetting questions intrusive like Caster Semenya did and chose to focus on their performance, and share his or her impression of the track or even the weather or atmosphere during the race. Kenyan journo's admiringly watched other athletes from Europe and Asia willingly grant interviews after distant races ,where some of them had been lapped. There were farcical moments,when the runners tried to catch the attention of journalists they snubbed earlier, after disappointing ends to their races.